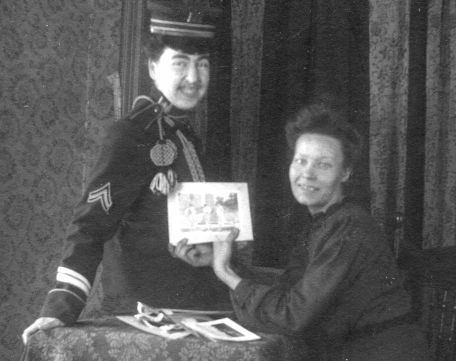 Woman in engineer uniform c. 1910. . 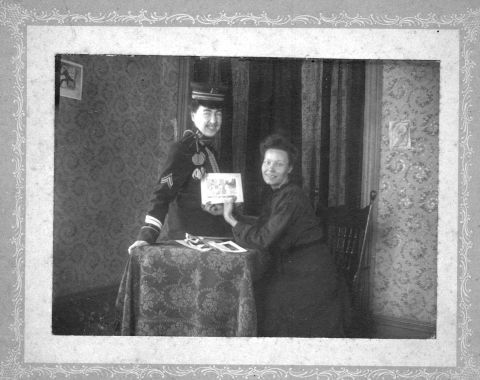 These two women appear to be having a fun time going through the family photos. 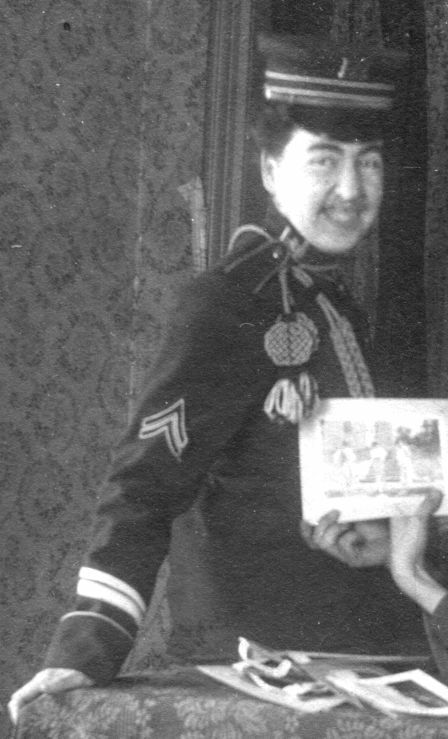 One has apparently borrowed a family member's U.S. Army uniform for a corporal of engineers, as evidenced by the castle badges and distinctive two-color trim. This photograph was bought out of Oregon.